Interest Rates hit 4 month lows on Friday / Fannie Mae changes coming November 16th. After a US debt deal in principal was announced on Wednesday – Interest rates greatly improved after slowly moving higher in the proceeding 2 weeks. The uncertainty regarding the government closure and the debt ceiling caused markets to stagnate. The markets rejoiced with great gains across the board when a deal was in place. When the dust settled, interest rates hit 4 months lows and 30 year fixed rates dipped down to 4%-4.125%. On Tuesday, the payroll report for September will be released late due to the government shutdown. This usually has a big effect on rate pricing. The FED meets October 29th and will release a statement on the 30th. Since the government closure, it is now believed that the FED will hold off on tapering its bond purchasing program until possibly 2014. The reason is that the economy will still be in flux due to the long term budgetary issues Congress must decide on during the next 4 months. 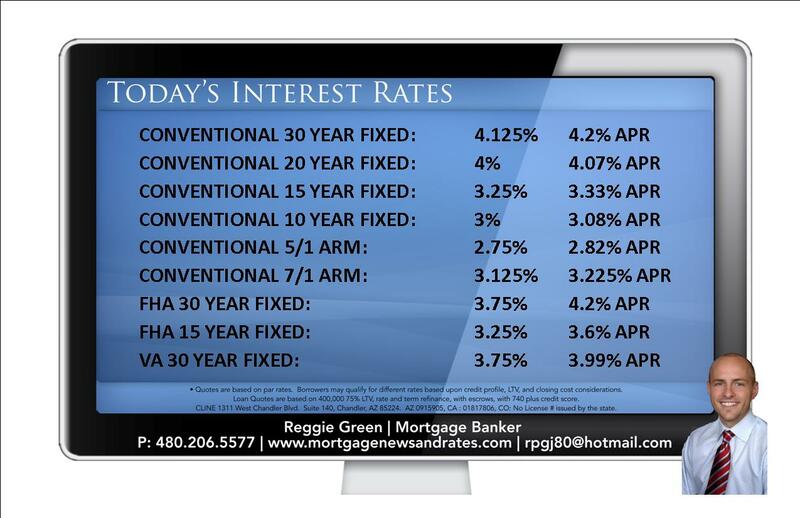 I see rates staying stable but not improving greatly from their current levels. Still, you never know what the FED will do. Many thought the FED would taper the bond program in September. If you are risk averse, I would lock before October 30th because when the FED tapers , interest rates will go up quickly. 1.) Interest Only Loans will no longer be offered by Fannie Mae. 2.) Fannie Mae will now have a maximum loan to value of 95%. Currently it’s 97%. You can begin a loan before November 16th, and still go off the old guidelines. If you want an interest only loan – now is the time to get started. The 97% Fannie Mae purchase loan was starting to take the place of FHA loans with higher credit score borrowers. The down payment was less than FHA, and the monthly mortgage insurance was substantially less. Now Fannie Mae will require 5% down, or 95% max LTV/CLTV on a refinance that is not HARP eligible.